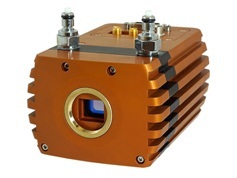 Raptor Photonics (booth 5554) plans to show its Ninox Ultra, an InGaAs camera that is vacuum cooled to -85ᵒC and offers ultra-low dark current for long exposures of up to five minutes. 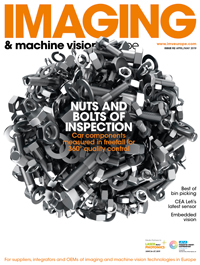 Combining low read noise of less than 30e- in high gain, and dark current of less than 100e/p/s at -80ᵒC, the Ninox Ultra is one of the most sensitive SWIR cameras available on the market. It offers 640 x 512-pixel resolution and 15µm square pixel pitch, and runs at 100Hz in full resolution through a Camera Link interface. The camera also offers a high intrascene dynamic range of 70dB, meaning it can capture bright and dark portions of a scene simultaneously. The Ninox Ultra follows on from the launch of the Ninox 640 and Ninox 1280 cameras, which have attracted interest in applications including astronomy and in-vivo imaging.